The Ivy League is a conference consisting of some of the nation’s most competitive, elite, and historic schools in the United States. In no particular order they include: Cornell, Dartmouth, Columbia, Yale, Harvard, Brown, Princeton and Penn. Hundreds of thousands of amazing students apply and are rejected each year from these schools. The Ivy League eyes its athletic programs very carefully and are very particular about the high school athletes they accept and reject. As a league, the Ivy’s monitor athletic admissions via a concept called the Academic Index. The academic index is not a secret, but it’s not something readily discussed by coaches and administrators. The academic index is a computed score of three components – SAT I, SAT II, and GPA (Class rank was removed in 2011 from the calculation). The better scoring your admitted class is, the higher the school’s mean AI, so Harvard will have a higher AI than say Dartmouth. Knowing where a recruited S-A falls in relation to the overall student body is a factor admissions uses when deciding on an applicant. The schools with the three highest Academic Index scores are Harvard, Yale & Princeton with scores usually hovering around 220. As is often the case, football has its own set of circumstances. Ivy League schools are allowed to admit an average of 30 players a year. Based on their scores, recruits fall into one of four categories or bands, something like A, B, C, D, with A being the highest band and the coach is allowed a certain number of recruits for each band. For instance, an Ivy football program may get 9 A, 14 B, 5 C, and 2 D recruits. The “D” recruits offer the highest risk and have the lowest (AI), as they will be the lowest academic qualifiers, but players the coach may want on their team. In this case, the school is willing to take a risk on these players, but because they are only allowing two of them in this classification, they are limiting their risk and in the long run, protecting the coach from having ineligible players, protecting the players by not putting them in a situation to struggle academically and protecting themselves by keeping up their reputation as a top academic university with high standards. This model is used at every Ivy school, the only variance being the individual score range will vary from school to school, meaning one school’s lowest ban might have a range from 185 to 195 and another’s lowest ban might have a range from 176-186. This makes recruiting much easier for football at this level, as a coach already knows if a recruit can or cannot get into their school. If a player doesn’t fall into the school’s AI profile, the coach simply can’t recruit him, and won’t. The Making of a Student-Athlete (now in it’s 13th edition!) is a 241-page guide for high school athletes, parents, & coaches who wish to learn the complicated college athletic recruiting and application process. Whether you are a parent, a blue-chip athlete, an aspiring scholarship athlete, a walk-on prospect, a coach or guidance counselor wondering how you can help yourself or your players, The Making of a Student-Athlete will guide you through the archaic world of the college selection and athletic recruiting process. The quality of these recruited student-athletes is also regulated: The mean AI of all of each year’s athletes at any school can’t deviate more than a set amount from the mean AI for the school’s overall student body. In layman’s terms, you need to be pretty close academically to the majority of students that attend the university. NOTE: The minimum AI for all IVY League Schools was raised to 176 in 2011 (the max is 240). Also, the mean score at each school depends on the quality of the student body; therefore it will vary (slightly) from school to school. How does the AI apply to the student-athlete? You can only control your GPA, and test scores, so don’t fret if you fit in the Index or not. One reason to not worry is that you might make the AI cut, but the coach is not recruiting your position this year. Since there are limits to the total number of S-A’s admitted, there is no room to push for a player who is not your top priority position wise. This is true at any school with selective admissions. If you think you are Ivy material, it’s smart to understand the AI. Once a coach sees your GPA, rank and SAT, they will have a good idea of what your AI is and if you are eligible to be recruited. Keep in mind that the admission dean and his or her office hold the ultimate say on your admission, not a coach. There are many coaches who don’t want to put you in a position where you may struggle academically, as it isn’t fair to you or them. You suffer academically and the coach and team suffer by losing an eligible player and one the coach may have been counting on to contribute to the team. If you are an “iffy” student, playing college athletics will not make you a better student. The coach knows the time constraints and if they feel you will not be successful at the school, they may not push that hard for you, regardless of how good you are. In many instances, you won’t even be recruited until the coach knows or thinks you can be accepted at the school academically. You may call them to talk about your fastball and the coach will want to talk about your SAT/ACT scores and GPA. While the Ivy League does not use the National Letter of Intent program, they have what is called a Likely letter. The Likely letter is the Ivy League’s attempt to bring some certainty to the recruiting process. Likely Letters are provided to recruited student-athletes who have informed Ivy Coaches of their intention to play for them, have had their application reviewed by admissions, and the Likely Letter basically signifies that the Ivy School will grant you acceptance. In this case however, the Likely Letter is not binding like the National Letter of Intent, and it is possible for recruited S-A’s to tell Ivy coaches what they want to hear in order to secure more than one Likely Letter from Admissions. 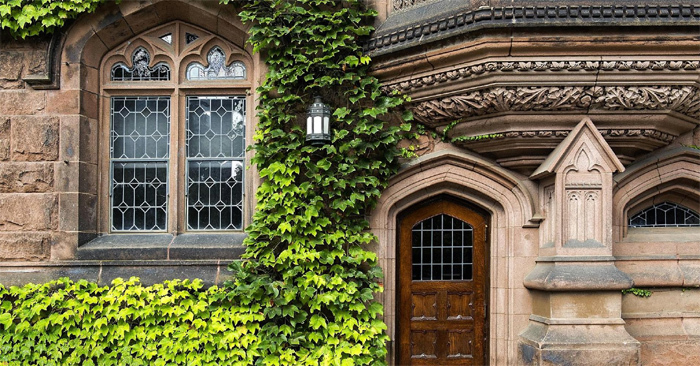 Because Ivy admission slots are so precious, coaches try to discourage this, but there is often nothing they can do about it. Because the Ivy League does not use the NLI that other D1 College’s use, there is a lot of pressure put on recruits to commit to Ivy Programs. This isn’t something coaches necessarily want to do, but need to do. Anyone being recruited by Ivy Schools may often be told that while a spot on a team is open now, it may not be in several weeks (or after you walk out of the coach’s office) and that delaying your decision will only force the coach to offer your spot to another recruit who may be more interested in giving a verbal agreement and who may be landing at the airport in 30 minutes. This is the unfortunate aspect of not having access to the NLI program that legally binds recruited student-athletes to a school for one year. Summary – Ivy Coaches cannot guarantee you admission and do not make admissions decisions – admission personnel make these decisions. While a coach may tell you that you will get in, there are cases where S-A’s are denied admission by the admissions board after a coach has extended a verbal offer. This sometimes happens when a new admissions director or athletic director is hired or the school got some bad publicity with other S-A’s and is trying to avoid accepting future players that may struggle academically. In most cases, if a coach extends a verbal offer to you, your credentials have been reviewed by admissions and the coach has received the OK to extend an offer. Rarely will a coach extend an offer before your information is reviewed by the admissions department, but this obviously doesn’t mean you are guaranteed admission. Recruiting at the Ivy League is fierce business and while all Ivy Schools are top academic institutions, they take their athletics very seriously. Because admission spots are so precious and there is no NLI program, Ivy coaches will compete very hard for the same athletes and will often pressure you to apply early or to give a verbal offer. If you are a talented athlete and a gifted academic student, then you can increase your chances of being accepted to an Ivy school provided that you are ready to commit. How do I get recruited to play college sports? How Weather and Climate Can Affect Your College Athletic Recruiting Process.